Take actions today that will strengthen your immune system. Learn how to practice control over the things that go into your body. Make healthy choices and stop sickness before it starts! 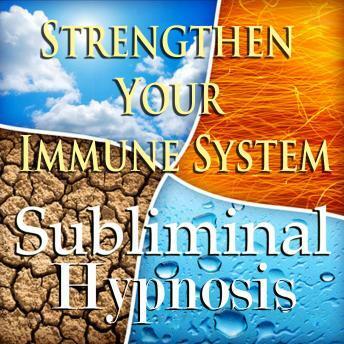 This subliminal hypnosis program works for you on three different levels - positive affirmations will be spoken during your deepest state of open relaxation, low binaural beats that are almost imperceptible to the human ear work with your subconscious mind to anchor the positive affirmations to help you understand women, and ancient Solfeggio tones encourage healing and wholeness with powerful harmonic frequencies. Along with seven different soothing sounds of nature, these three elements combined together are the triad of positive change that will propel you toward a better future.